Today, nursing is one of the most rapidly growing and dynamic professions. A degree in nursing offers individuals job opportunities at many different levels. Data compiled by the U.S. Bureau of Labor Statistics (BLS) shows that employment within the nursing profession is going to see substantial growth between 2012 and 2022. The growth rate predicted can be attributable to a number of different factors that include a current shortage of nurses, a large aging population, and a greater demand for health care services. Nursing is a profession which focuses on promoting the wellbeing of others, helping patients to cope with illnesses and diseases, and providing direct patient care under the supervision of physicians. It can be a demanding job and requires a tremendous amount of determination. When most people think of a ‘nurse’, the image that typically comes to mind is that of a registered nurse. Registered nurses are professionals who have traditionally completed a diploma or associates degree in nursing and who have subsequently passed the nursing licensure examination for registered nurses. For more in depth training however, candidates must work towards a Bachelor of Science in Nursing. What are the arguments in favor of pursing a BSN? It goes without saying that with a four year undergraduate degree, candidates may be eligible for more employment opportunities. As opposed to an associate’s degree, a BSN confers more in depth academic and clinical training to aspiring nurses. This is a very important factor that employers take under consideration when hiring. According to data compiled by BLS, in 2012 the annual median wage for registered nurses was $65,470. The top 10 percent earned more than $94,720. In order to be in the top ten, an RN would need to have a BSN because BSN holders are the ones that get top tier jobs. A solid base for nurses to pursue graduate education and seek out advanced nursing positions. According to data compiled by The American Association of the Colleges of Nursing (AACN) the level of education possessed by nurses had a direct effect on the quality of clinical practice. Nurses who have a BSN produce better results. These include, for instance, lower mortality rates and lower failure-to-rescue rates. They are also more proficient in making diagnoses. BSN holders can also communicate better with other professionals; a very important quality because nurses often work in teams with other nursing professionals and physicians. They are also highly capable of carrying out research effectively and have strong evaluation skills. Many hospitals now seek magnet designation and require nurses to have a higher education.The nation’s Magnet hospitals are those which are recognized for providing high quality medical care. This award is given by the American Nurses' Credentialing Center (ANCC), an affiliate of the American Nurses Association, when the hospital satisfies a certain set of criteria with respect to its nursing staff. It is a highly coveted award and has only been given to about 400 hospitals to date. One of the conditions which absolutely must be satisfied is that 75% of nurse managers possess a BSN as of January 1, 2011, and 100% have a BSN by January 1, 2013. In addition, over 48% of the nursing staff need to have a BSN qualification or higher. 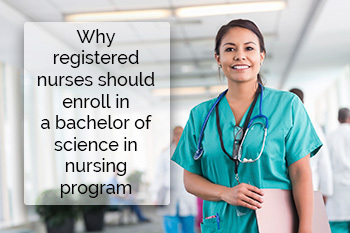 Over the past few years, there has been a surge in the number of BSN programs offered. For individuals who are already RNs, there exists a number of RN to BSN bridge programs which allow individuals to bridge the gap in their learning. Many of these programs are offered online. This is very beneficial for those individuals who are currently working full time or have family commitments. Online programs also allow you the flexibility to pursue a degree according to your time schedule. The Veteran's Administration (VA) – This is the nation's largest employer of registered nurses. It has established BSN as the minimum requirement its nursing staff must have for promotion beyond entry-level. Many patients feel better knowing that their health is in the hands of a highly educated and competent individual. This is supported by a nationwide Harris Poll which was conducted in June 1999. The results showed that an overwhelming percentage of the public – 76% – believed that nursing professionals should have four years of education or more to perform their duties. The Institute of Medicine has recommended that the number of BSN holders increase from 50% to 80% by 2020. Furthermore, the American Nurses Association recognizes BSN as the entry level qualification for RNs. When highly respected medical institutes make these recommendation and requirements, it is often the case that employers follow their lead. For this reason, it may be very likely that by 2020, most employers will require their nursing staff to hold a BSN. Holders of a BSN can apply directly for graduate programs and improve their credentials. To gain a specialization in a particular branch of nursing, candidates must undertake a Master’s of Science in Nursing (MSN). To be eligible, MSN candidates must hold a BSN degree. An MSN also enables nurses to apply for positions such as nurse educators or managers. It is also an essential degree for those individuals who want to pursue a doctorate level degree. To deal with the increasing demands of an evolving healthcare system, many professional bodies and employers are requiring candidates to hold a BSN in order to qualify as an RN. There are numerous arguments in favor of gaining a BSN. Some of these include increased job opportunities and prospects, a higher salary, and more in depth training and knowledge. Furthermore, it is recommended that 80% of RNs hold a BSN by 2020. 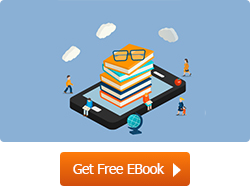 This is indicative of a shift in requirements within the healthcare industry. It is therefore very likely that with time, the majority of employers will require applicants to have a BSN in order to work as RNs.